In yesterday's piece we saw how governments (both past and present) use the Food Corporation of India (FCI) to manage the fiscal deficit figure. Fiscal deficit is the difference between what a government earns and what it spends and is expressed as a percentage of the gross domestic product (GDP). In today's piece we will dig a little more into this phenomenon and the results might just surprise you. Let's go about this pointwise. 1) As was mentioned yesterday, one of the main objectives of the FCI is to ensure that the farmers get the right price for their produce. Hence, the FCI buys rice and wheat directly from farmers at a minimum support price, set by the government every year. It does so through procurement centres spread across the country. 2) The FCI ends up buying more rice and wheat from states like Punjab, Haryana, Madhya Pradesh, Andhra Pradesh, Telangana, Rajasthan etc., and less from states like Bihar, Uttar Pradesh and West Bengal. Hence, in that sense it really doesn't have a pan India operation. The last time something like this happened, smart investors walked away with triple and quadruple digit gains in just a few years. Read this before you make any money decisions. 3) But that is the not the point here. Other than providing price support to farmers, FCI also needs to ensure food security of the country by maintaining stocks of rice and wheat. Hence, there is a certain amount of foodstock that FCI needs to maintain at any given point of time during the year. 4) This is where things get interesting. On January 1, of every year, FCI needs to maintain stocks of 214.1 lakh tonnes of rice and wheat. The operational stock of rice and wheat that it needs to maintain is 56.1 lakh tonnes and 108 lakh tonnes respectively. Over and above this, a strategic reserve of 20 lakh tonnes of rice and 30 lakh tonnes of wheat, that needs to be maintained. All this adds up to 214.1 lakh tonnes. 5) While FCI needs to maintain reserves of 214.1 lakh tonnes, what was the actual reserve of rice and wheat that FCI actually had? Any guesses? 454.12 lakh tonnes, which is more than double of what is required. Actually, 112% more. Of course, this extra stock comes with a cost attached to it. 6) Let's look at the stocks maintained by FCI on January 1, over the years. Table 1 has the details. As can be seen from Table 1, the stock of rice and wheat in January 2019, has been the highest in the last four years. Of course, there is a cost attached to this. The price at which this excess rice and wheat is bought, and also the cost of carrying this inventory in the godowns of FCI and the ones that it hires. 7) Let's figure out how much extra rice and wheat is in the reserves. Take a look at Table 2. 8) These excess reserves that can be seen in Table 2, as mentioned earlier have a cost attached to it. The acquisition cost of rice is Rs 20,019 per tonne, whereas the acquisition cost of wheat is Rs 29,245 per tonne. Hence, the acquisition cost of excess rice works out to Rs 21,382 crore (106.81 lakh tonnes multiplied by Rs 20,019 per tonne). The acquisition cost of the excess wheat works out to Rs 38,957 crore (133.21 lakh tonnes multiplied by Rs 29,245 per tonne). 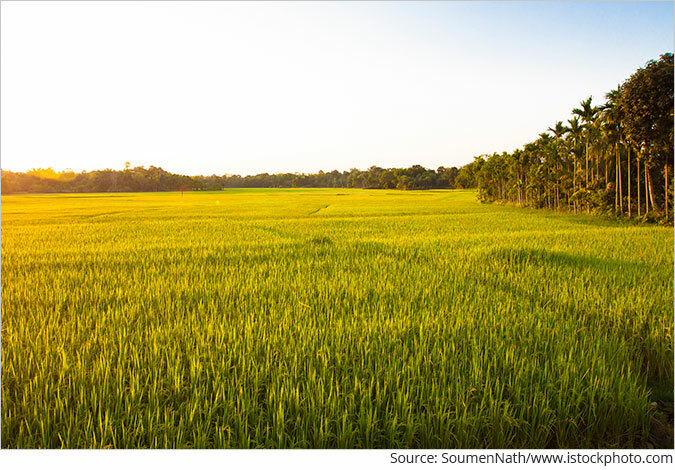 9) The total cost of acquisition of this rice and wheat comes out to Rs 60,339 crore. Over and above this, there is the cost of storing this rice and wheat as inventory. As mentioned in yesterday's piece, the government of India doesn't compensate FCI adequately. In 2018-2019, Rs 1,20,922 crore will remain unpaid. The excess reserves of rice and wheat which cost the government Rs 60,339 crore are a part of this unpaid amount. The remaining unpaid amount is on account of FCI buying rice and wheat from farmers directly and then distributing it through the public distribution system at a very low price. The government needs to pay FCI for these losses and it hasn't. The interesting thing is that the excess rice and wheat worth Rs 60,339 crore, hasn't been paid for by the government. Given that, the accounts of the government work on a cash basis, this hasn't been registered as expenditure on its books. Hence, the government has managed to control its fiscal deficit for this year, even while FCI has gone around procuring more rice and wheat than it needs. Given that the government doesn't compensate FCI adequately, it has to borrow money to continue to be in operation. The rate of interest that FCI is paying on this debt is around 9%. This interest that the FCI pays on the debt also gets passed on to the government in the years to come. 10) The question is why did FCI buy much more this year than what it required to distribute through the public distribution system to meet the norms of the National Food Security Act and other welfare measures of the government or as required as per the stocking norms or in comparison to what it bought in previous years. The simple answer to this lies in the fact, that elections are scheduled in April and May 2019. And given this, the government has bought more rice and wheat from the farmers than it actually requires to meet the norms of the food security act or to maintain a buffer stock, for that matter. Basically, in an election year, the government wants to keep the farmers, who form a major part of the voters, happy. Interestingly, such a huge jump in procurement was also seen in the run up to the 2014 Lok Sabha elections. Of course, at the same time, the government has managed to keep this expenditure off its books, by not paying FCI for it immediately. Though eventually it (which could be another government and not this one) will have to pay for it. This is a clear case of different political parties using the taxpayers' money to be in the good books of a major section of the voters, before the elections. Vivek Kaul is the editor of Vivek Kaul Publishing, where readers gain sharp, insightful opinions and analysis on India's economy. He is the author of the bestselling Easy Money trilogy. His latest book is India's Big Government - The Intrusive State and How It is Hurting Us. We request your view! Post a comment on "How Govts Use Food Corporation of India To Fight Elections". Thank you for posting your view! Comments are moderated and may not appear on this article until they have been reviewed and deemed appropriate for posting. Click here! 2 Responses to "How Govts Use Food Corporation of India To Fight Elections"
Farmers should be encouraged to grow more remunerative crops than wheat and rice. That way, we will get a win-win situation. Farmers will earn more income and the excess inventory will be brought down. If FCI has almost double the quant. that is required why it should buy more this year. There are more than one variety of Rice & Wheat how MSP is determined for each vaierty To me the problem of agrarian sector is over production & therefore MSP will not work given the mkt is driven by supply & demand How does FCI keep such high quantity & does it issue to PDS on FIFO basis. Vivek Kaul Publishing, a division of Equitymaster Agora Research Private Limited (Research Analyst) 103, Regent Chambers, Above Status Restaurant, Nariman Point, Mumbai - 400 021. India. Telephone: +91-22-61434055. Fax: +91-22-22028550. Email: support@vivekkaulpublishing.com Website: www.VivekKaulPublishing.com . CIN: U74999MH2007PTC175407 SEBI (Research Analysts) Regulations 2014, Registration No.INH000000537. All rights reserved.Any act of copying, reproducing or distributing this newsletter whether wholly or in part, for any purpose without the permission of Equitymaster Agora Research Private Limited is strictly prohibited and shall be deemed to be copyright infringement. Legal Disclaimer: Vivek Kaul Publishing is a division of Equitymaster Agora Research Private Limited (Research Analyst) bearing Registration No. INH000000537 (hereinafter referred as 'Equitymaster'). Information herein should be regarded as a resource only and should be used at one's own risk. This is not an offer to sell or solicitation to buy any securities and Equitymaster Agora Research Private Limited will not be liable for any losses incurred or investment(s) made or decisions taken/or not taken based on the information provided herein. Information contained herein does not constitute investment advice or a personal recommendation or take into account the particular investment objectives, financial situations, or needs of individual subscribers. Before acting on any recommendation, subscribers should consider whether it is suitable for their particular circumstances and, if necessary, seek an independent professional advice. This is not directed for access or use by anyone in a country, especially, USA, Canada or the European Union countries, where such use or access is unlawful or which may subject Equitymaster or its affiliates to any registration or licensing requirement. All content and information is provided on an 'As Is' basis. Information herein is believed to be reliable but Vivek Kaul Publishing does not warrant its completeness or accuracy and expressly disclaims all warranties and conditions of any kind, whether express or implied. Equitymaster may hold shares in the company/ies discussed herein. As a condition to accessing Vivek Kaul Publishing content and website, you agree to our Terms and Conditions of Use, available here. The performance data quoted represents past performance and does not guarantee future results.